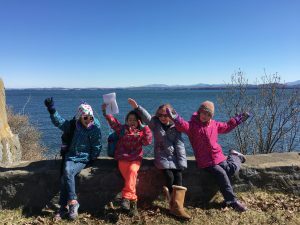 Registration for Spring Break Camp 2019 is FULL! 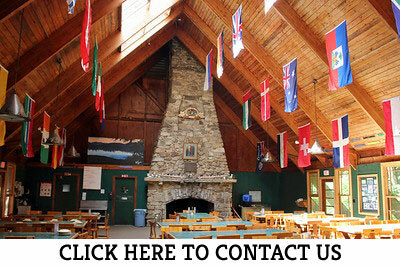 Camp hours are 8:00 am – 5:00 pm Monday through Friday. Open to children ages 6-13. Lunch and afternoon snack provided with at least one hour of free-time daily. Each child is responsible for bringing his or her morning snack. 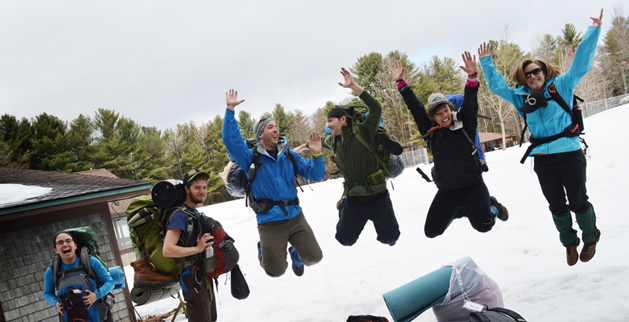 We’ll kick off our first day of camp with activities you can only do in the snow. Kids will be given lessons on how to cross country ski and snowshoe. We will then venture out on a trip into the forest along our scenic trails * The youngest kids will snowshoe, but not ski. Today offers three amazing winter activities. Join our knowledgeable instructors and learn about the ecological wonders found near our campus in the winter. Then follow the tracks of native animals through the woods and learn a thing or two about their habitats. Lastly, you will learn how to survive in the woods amidst harsh conditions during our Winter Survival activity. Get the best of both worlds by doing some indoor rock climbing at The Crux and some outdoor snow tubing at our nearby hill. If snow conditions prevent snow tubing, campers will have a blast with our World Famous Egg Drop activity. What better way to explore Adirondack Park than to hike in it all day long! Leave Pok-O in the morning and hike an Adirondack Mountain, playing fun games along the way, and eating the famous “summit sandwich”! Finish off the week with a day filled with fun and excitement! Join one of the four competing nations: MacCreadia, The United Pok-O States, Ol’ Moonshire, The Kingdom of Swan! Compete with your team in a variety of fun activities and challenges! Play big group games on our field and work as a team to solve unique challenges with interesting props. Spend the afternoon balancing on cables and platforms on our Low Ropes Course. Then, work together through various obstacles on our Teams Course. Enjoy an active day of rock climbing at our indoor climbing gym, The Crux! Campers of all experience levels will have a blast climbing and bouldering together. Complete the day with a quick hike up a small local mountain with an amazing view! The Adirondacks are a magnificent place to explore! Learn all about the different wildlife found here, both in the forests and the ponds. After that, access your creative side by using natural resources to create unique and sustainable art in our ‘Art in Nature’ program. As camp comes to a close, there’s no better way to wrap up the week than with a day full of GAMES! Similar to the very popular Pokolympics from our Winter Break Camp, we’ll have an all-day blowout of fun and excitement! Put your game face on! AGES: PMOEC Break Camps are open to children ages 6-13. DATES: Monday – Friday, 8:00 am – 5:00 pm. RATES: Individual day price $40/day or $180/ child for the full week. Optional transportation to and from the Exit 35 Mobil is $30 for the week or $10/day per child. A 5% service fee is added to all credit card transactions. Full payment and registration form required by 4/9/2019. 50% of Payment refundable up to 1 week prior to Camp. If we are prohibited from providing the best possible experience, safety and care for your child based on a medical or behavioral concern, we reserve the right to withhold admission or dismiss that child. Please notify us of any such concerns at the outset of the enrollment process.